The cricket fever has gripped the nation once again as the Indian Premier League is back with its 12th edition. The tournament got underway on Saturday, March 23, with MS Dhoni-led Chennai Super Kings defeating Virat Kohli's Royal Challengers Bangalore in the opener in Chennai's den. The Super Kings started the season exactly how it ended in the IPL 2018. In the opener, Dhoni's men restricted Virat Kohli's RCB to a meagre 70 runs and won the first game comfortably. CSK sounded the bugle with a satisfying victory over RCB. DC vs CSK, IPL 2019 Stat Highlights: Shane Watson Guides CSK Home, As Dwayne Bravo Snaps Three Wickets Against Delhi Capitals. 1. In-form Shane Watson: The batting of Chennai Super Kings heavily relies on the former Australian all-rounder. With Shane Watson in good form, the CSK can dominantly take the game away from the opposition. Shane Watson single-handedly wrested the game away from Sunrisers Hyderabad by scoring a century in the finals last year. Chasing a score of 178, Shane Watson scored 117 off 57 balls and helped Chennai to lift the title. Watson was the highest run aggregator in the recently concluded Pakistan Super League, scoring 430 runs in 12 matches with a highest score of 91 runs. Chennai fans will be hoping that Shane Watson carries the same form in this IPL and help them win the title for the record fourth time. He was also awarded the man of the series in IPL 2018 for his splendid performance. 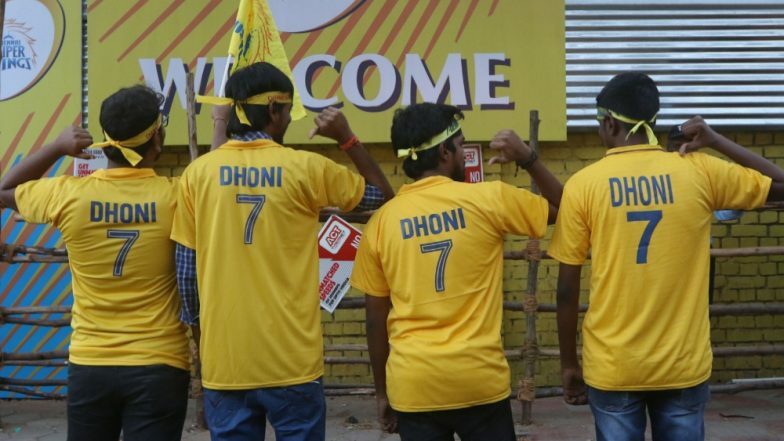 Team CSK New Players: Here’s a Look at Upcoming Talent in Chennai Super Kings Squad for IPL 2019. 2. Captain cool MS Dhoni: Captain cool Mahendra Singh Dhoni, with two World cup titles under his belt, is probably the best Indian skipper till date. Under his captaincy, CSK has won three IPL titles. CSK is only the second team after Mumbai Indians to achieve this feat. The mastermind behind the stumps enhances the decision-making capacity of the team which pressurises the opposition. He is known for his prompt and courageous on-field decisions. He has always shown faith in his players and gets the best out of them. 3. Suresh Raina highest run scorer in IPL: Suresh Raina has scored most number of runs in Indian Premier League. He became the first player to complete 5000 runs in IPL. He has scored 5004 runs thus far at an average of 34.57 and has a strike rate of 138.15. He is a vital player for Chennai Super Kings, and the middle order batsman has scored 35 fifties in IPL. His maiden century came against Kings XI Punjab in 2013. He has played many match-winning innings for the Men in Yellow. Suresh Raina Becomes First Batsman to Complete 5000 Runs in IPL. 4. Winning combination unchanged: The defending champions have not made many changes in the side. The team looks balanced with a good combination of all-rounders, bowlers and batsmen. Keeping the winning combination intact, CSK has four all-rounders in its squad - Dwayne Bravo, Shane Watson, Ravindra Jadeja and Kedar Jadhav - who can contribute with bowling and provides strength to its batting. The team also has a strong bowling line up with spinners like Harbhajan Singh, Imran Tahir, Ravindra Jadeja and giant killer Kedar Jadhav. The batting department is also complete with Shane Watson in his best form and Ambati Rayudu with a satisfying performance in the last season; Kedar Jadhav provides balance to the middle order and MS Dhoni who knows how to deal with the death overs. 5. Experienced side: Chennai Super Kings (CSK) can be stated as the most experienced side of this edition of the Indian Premier League, with nine of its players ageing above 30 years. It has experienced players like Shane Watson, MS Dhoni, Harbhajan Singh, Imran Tahir and Dwayne Bravo which gives CSK an upper hand in crucial moments of the game against any side. It has probably a pack of best domestic players in the side. Spinners have shown their potential in the first game by restricting Virat Kohli's Royal Challengers Bangalore on 70 and winning the game very comfortably. CSK Squad in IPL 2019: Team Profile, Schedule of Chennai Super Kings in VIVO Indian Premier League 12. Chennai Super Kings fans will be looking forward to a power packed performance from Men in Yellow in this season of Indian Premier League. And the kind of start that they have got will surely help them to gain confidence and move ahead in the tournament on a positive note and they seem mentally prepared to win the IPL 2019.